This drive brings DVD recording to the mobile world and gives users a stepping stone to move from CD to DVD technology (for creating and storing family photos, files, videos, etc.). Based on the DVD +- R/RW format, combination drives support the most widely compatible DVD standards, giving consumers the highest level of compatibility with legacy DVD devices. 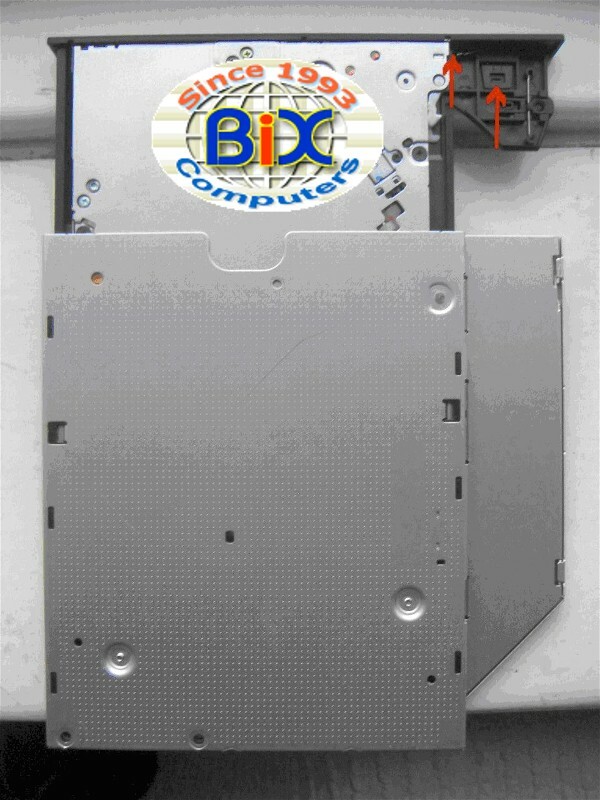 This slim-drive supports writing DVD +-R/RW. This powerful storage device is a functional technology that enables PC manufacturers to deliver unprecedented DVD and CD computing capabilities in their mobile devices. Until now, only desktop computers have had the luxury of DVD record ability (for applications such as audio/video editing and personal digital compilations). This drive will fit most of the laptop/notebook computers. We are sorry that we don't have a detail compatibility list for this drive. You can check our Laptop/Notebook Upgrade Guide. If this drive is directly (which means you can see an "Add to Cart" button) listed under your notebook model page, it means it should fit your notebook computer. But the front bezel color and shape may not match your original drive front bezel color and shape, so it may not look perfect. Open the DVD drives The drive can be opened using a straightened paper clip pushed into the emergency eject hole. The clips highlighted in the next photo need to be gently pressed open to remove the face plate. Now the faceplate needs refitting to the replacement DVD drive and the DVD drive needs to be inserted back in the laptop and the screws put back in the original positions. Then you need to click here for a different type IDE drive. 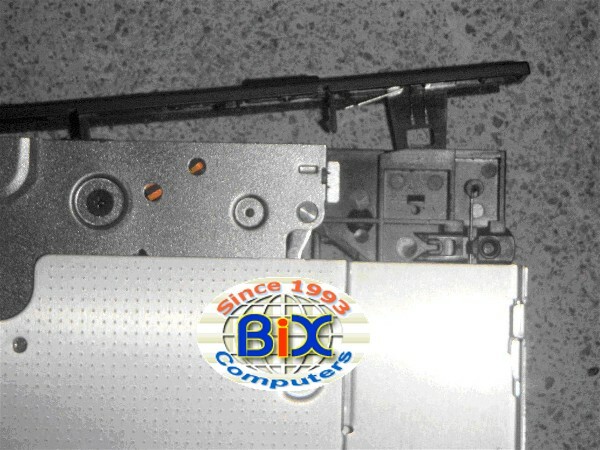 Some laptops may use some adapters to change the position and shape of the rear connectors. In this case, you need to remove that rear adapter from original drive and re-use the rear adapter with the new drive. This drive does not require any unique device drivers for Windows '98/2000/XP/NT/Vista/Window 7. After installing your drive and re-booting, your system should recognize your drive. Win '98/2000/XP/NT/Vista Operating Systems support all SATA drives naively.